LINCOLN -- Ted W. Johnson, 60, of Lincoln died Tuesday, April 4, 2006, at 12:30 a.m. at his home. Arrangements are pending at Peasley Funeral Home. LINCOLN -- Harry Russell Maple, 65, of Lincoln, formerly of Decatur, died Sunday, April 2, 2006, at 3 p.m. at his home. Visitation will be from 4 to 7 p.m. Wednesday at Fricke-Calvert-Schrader Funeral Home in Lincoln. His funeral will be at 11 a.m. Thursday at the funeral home, with Jacob Skelton officiating. Burial will be in Graceland Cemetery, Decatur. Mr. 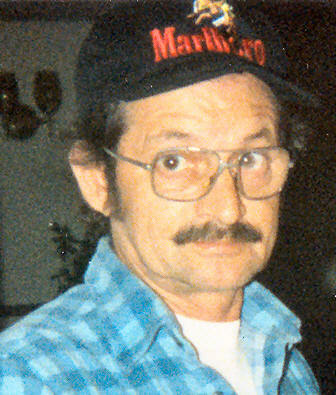 Maple was a laborer for Burwell Oil before he retired in 1998. He was born Nov. 21, 1940, in Decatur to William Henry and Margery Hedrick Maple Sr. He married Charlene Cleary on Sept. 26, 1992, in Decatur. He is survived by his wife, of Lincoln; his mother, of Decatur; one son, Jackie Russell "J.R." Maple of Lincoln; three daughters, Teresa "Terri" Affleck of Omaha, Neb., Tami (and Lynn) Mermis of Midland, Texas, and Traci Tilton of Neosho, Mo. ; four brothers, Ron (and Carolyn) Maple of Oakley, Joe (and Margie) Maple of La Porte, Texas, John (and Debbie) Maple of Decatur and Leslie (and Redonda) Maple of Hugo, Okla.; one sister, Judy (and Steve) Miller of Mount Zion; six grandchildren; and one great-grandchild. He was preceded in death by his father; three brothers, William H. Maple Jr., Charles Merle Maple Sr. and David Edward Maple; and one granddaughter. He was an avid NASCAR fan. Memorials may be made to the family or to Hospice Care of Illinois. Click here to send a note of condolence to the Maple family. LINCOLN -- Marie Aileen Osborne, 84, of Lincoln died Thursday, March 30, 2006, at 2:05 p.m. at Maple Ridge Care Centre. Her funeral was at 11 a.m. Monday at Bennett Funeral Home, with the Rev. Oscar Owens of Full Gospel Evangelistic Center officiating. Visitation was from 10 until 11 a.m. at the funeral home. Burial is in Zion Cemetery. Mrs. Osborne worked at the U.S. Corrugated box factory in Lincoln for 20 years. She was born Feb. 22, 1922, in Mason City to Jesse and Nellie Griffin Zimmerman. She married Paul Lee Osborne in 1964 in Lincoln. She is survived by her husband, of Lincoln; five stepchildren, Paula Osborne of Lincoln, Sandra Hurst of Springfield, Donnie Osborne of Lincoln, Gary Osborne of Lincoln and Vickie Bowen of Lincoln; four grandchildren; 13 stepgrandchildren; and several great-grandchildren. She was preceded in death by her son, Robert Merreighn; two grandchildren; three sisters; and two brothers. She was a member of the Full Gospel Evangelistic Center, to which memorials may be made. The donations will be accepted at the funeral home. Click here to send a note of condolence to the Osborne family. MOUNT PULASKI -- Robert L. Mayer, 72, of Mount Pulaski died Thursday, March 30, 2006, at 6:46 a.m. at his home. His funeral was Monday morning at Fricke-Calvert-Schrader Funeral Home in Mount Pulaski. Rick Deters was in charge. Visitation was on Sunday at the funeral home. Burial is in Mount Pulaski Cemetery. 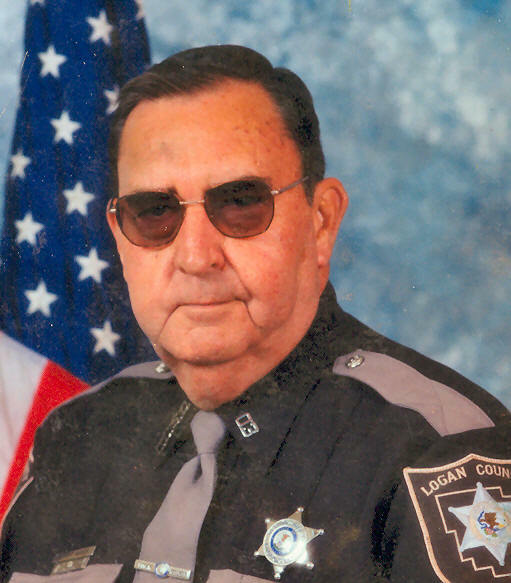 Mr. Mayer was a Logan County sheriff's deputy from June 1973 to August 2004. He also worked for the Lincoln Police Department from February 1963 to January 1973. He was born Dec. 16, 1933, in Lincoln to Fred L. and Ruth McDonald Mayer. He married Sandra Kay Boyer in Lincoln on May 6, 1978. He is survived by his wife, of Mount Pulaski; one daughter, Natalie Kay Mayer of Mount Pulaski; two sons, Nicholas Robert Mayer of Mount Pulaski and Robert Mayer Jr. of Florida; and one grandson, Samuel Mayer. He was preceded in death by his parents and stepmother. He was a member of the Mount Pulaski Phoenix Fire Department, a previous fire chief of the Elkhart Fire Department and a member of the Fraternal Order of Police. He served on the Logan County E-911 board from 1990 to 2005. Memorials may be made to the Mount Pulaski Phoenix Fire Department. Click here to send a note of condolence to the Mayer family.